Not everyone is ready to run out and buy a house. In fact, there are plenty of cases in which renting makes more sense. However, it’s important not to get too carried away. Home buyers are encouraged to consider the 30% rule when deciding how big of a mortgage they can afford, it can apply to your rental as well. The 30% rule states that you should limit your housing costs to 30% of your income. If you want to make sure that you don’t get in over your head, it can make sense to base it on your net (after tax) income than your gross income. It’s also ok to view that 30% number as the upper limit. You might be more comfortable paying 20% or 25% of your monthly income for housing. Don’t forget to consider the cost of utilities as well. Some experts think that you will probably be fine if you apply the 30% rule just to your monthly rent payment. Others say that you will have a better financial situation if you include utilities and other costs in your calculations. In the end, it’s up to you, and what you think will be most beneficial to your individual situation. For many, it becomes important to figure out how to make renting more affordable. Once you understand how rental prices might be set, it becomes possible for you to better figure out how much rent you can afford — and improve your chances of getting a good deal. Location: One of the main determinants of the cost of a rental unit is its location. If a rental is located near a city center, it is likely to be more expensive. A unit placed farther out, where shopping and jobs aren’t as accessible, might be less expensive. Additionally, if you want a location in a nicer, safer neighborhood, you might have to be willing to pay more. Amenities: Don’t forget that there might be certain amenities included with the rental. The more amenities you have, in terms of extras like a jetted tub, granite countertops, or an extra bathroom can make a difference. If you like to live in luxury, you might pay more. Size: Of course, size matters. The bigger the apartment, the more expensive it will be. You can get a studio and pay less, if you don’t mind the smaller space. 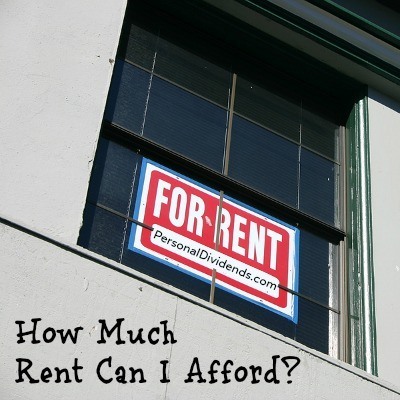 If you are willing to make some compromises, you might be able to reduce your rent. Another possibility is to share with roommates. Adding roommates can mean that you share the costs of the rent, as well as the utilities. Depending on where you plan to live, this can be a desirable development. Sometimes, you can do better splitting the rent on a two-bedroom apartment than you could do paying for a one bedroom on your own. Carefully consider your situation. If you can’t afford much in rent, you might need to look for ways to reduce your costs so that your expense becomes manageable.